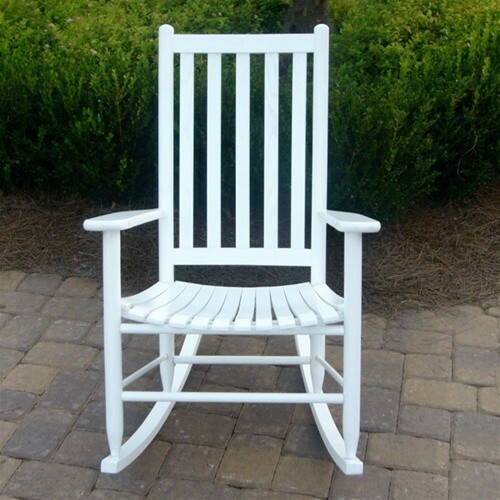 This beautiful adult Full Slat-Back Wooden Rocking Chair offers you total support as you settle in to relax. It's a smaller chair, which means it's perfectly proportioned to fit teens or smaller adults (under six feet tall). The sturdy North American Ash hardwood construction means it's sturdy enough to become a fixture in your outdoor room or porch, but is nice enough to take pride of place beside your fire. If you're looking for a rocking chair which will last long enough to become a family heirloom then this chair is the right chair for you. It was constructed using a unique, glue-free process that uses pressure clamping on precisely machined components to manipulate the expansion of the wood, causing it to swell as the joints lock together. This chair was then machined and hand sanded to create a uniform surface. Choose the chair that best fits your personality: unfinished so you can paint or stain it yourself, black, or white. 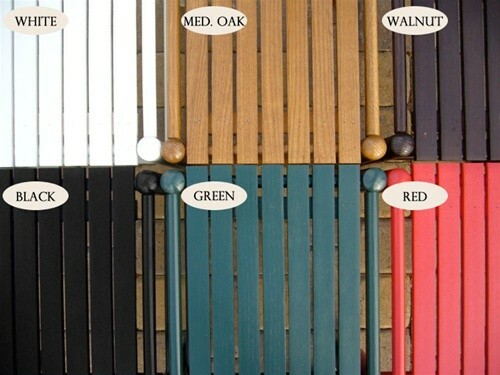 We've carefully maintained the quality of the wood to ensure that each rocking chair is unique and distinct. Finally, each chair was crafted right here in the USA. Our full factory assembly option is available for your convenience, which means you'll only be responsible for attaching the runners. Order yours today. This rocking chair is perfect for teens or smaller adults (under 6 ft.). 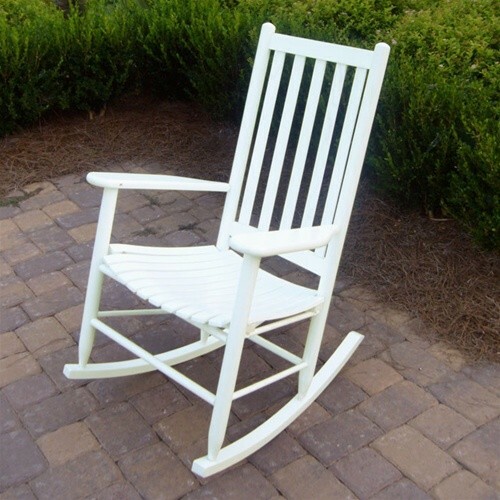 You may want to consider another rocking chair if this chair is to be used by taller adults. Please note that weathering will occur if products are exposed to moisture, sunlight or humidity changes.